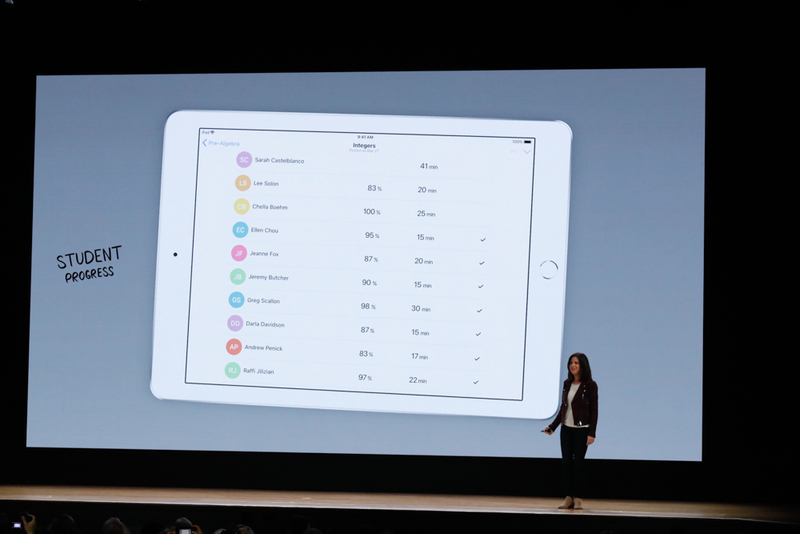 "Of course, Schoolwork will let you point students to an app. That's great, but that's not enough. 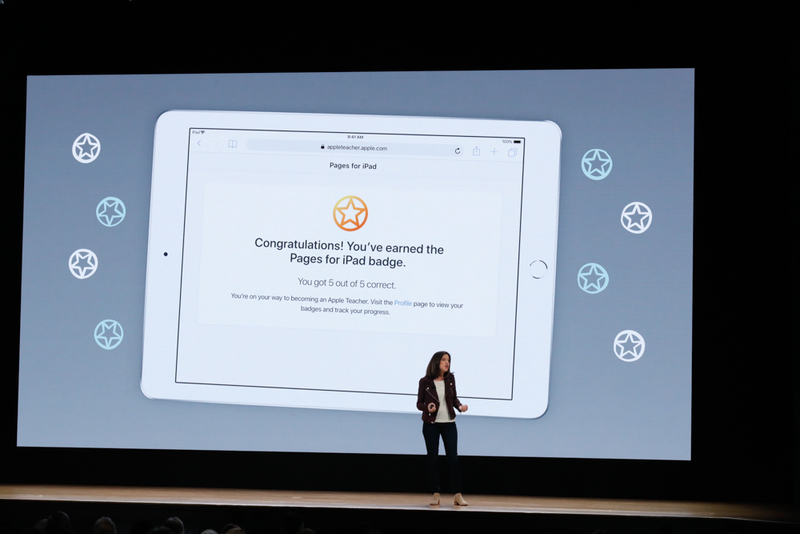 What's really cool is making it easy for you to assign students a specific activity in an app"
Can jump right into app specific activities, link into it via Schoolwork app. 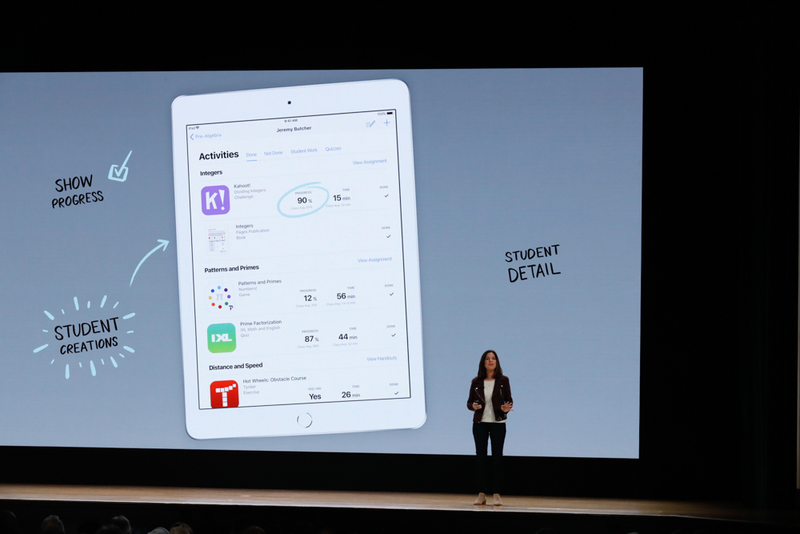 "You can see how an individual student is doing"
These app links are pretty interesting. 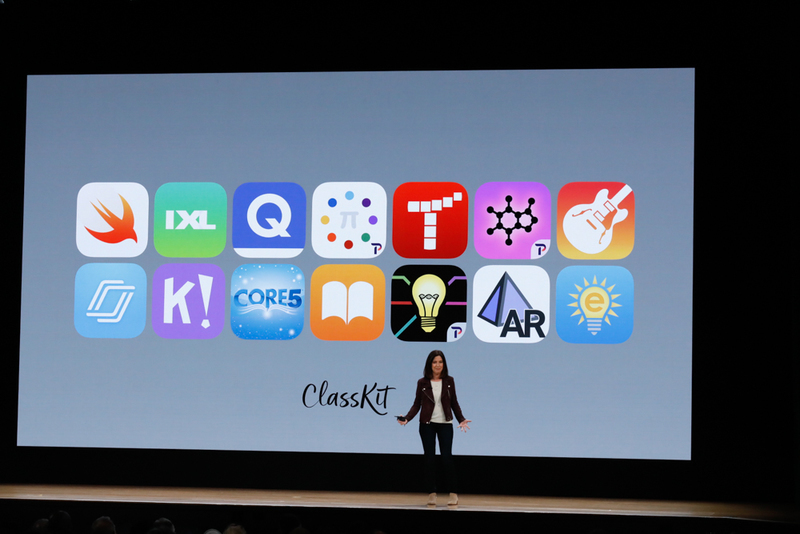 Makes it easier to curate a set of apps to use as part of a curriculum. 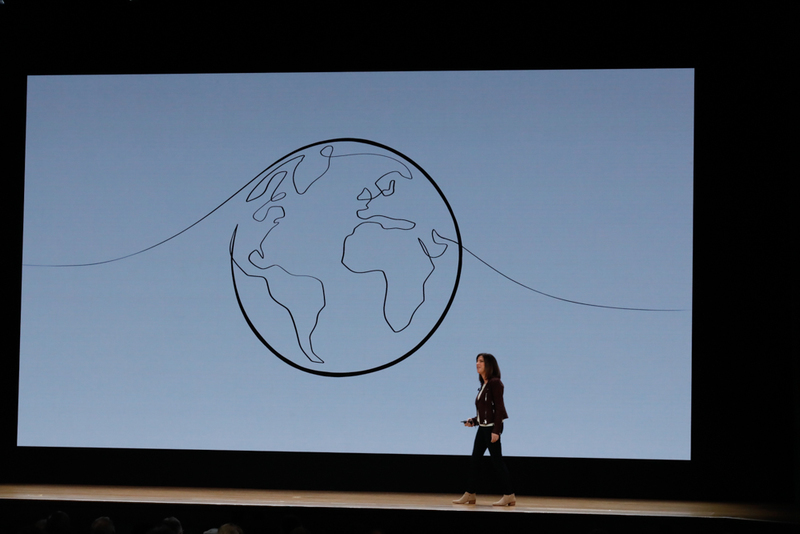 "We think it will allow teachers to be able to tailor to the needs and potential of their students"
"It's really important to us that you understand this data stays private." "While teachers see each students' progress information, we don't and neither can anybody else." 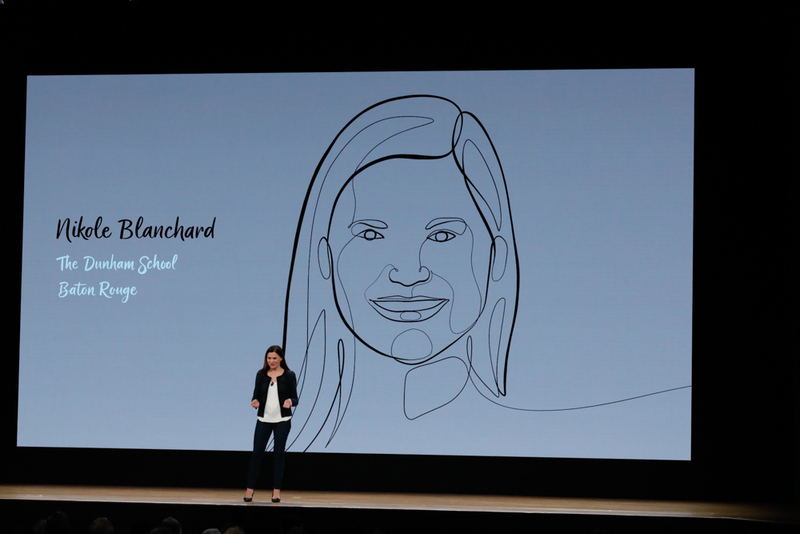 "Privacy is integral to everything we do at Apple ... It's something we are very passionate about." 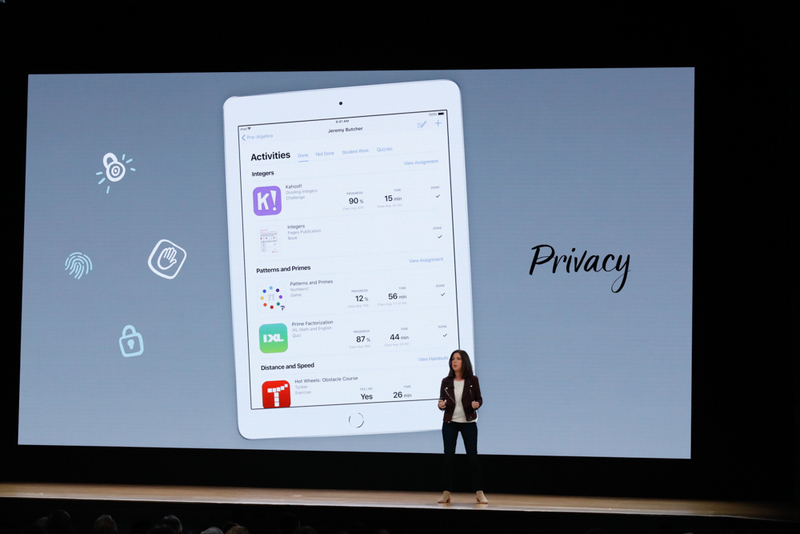 Promised privacy: Apple can’t see student information. 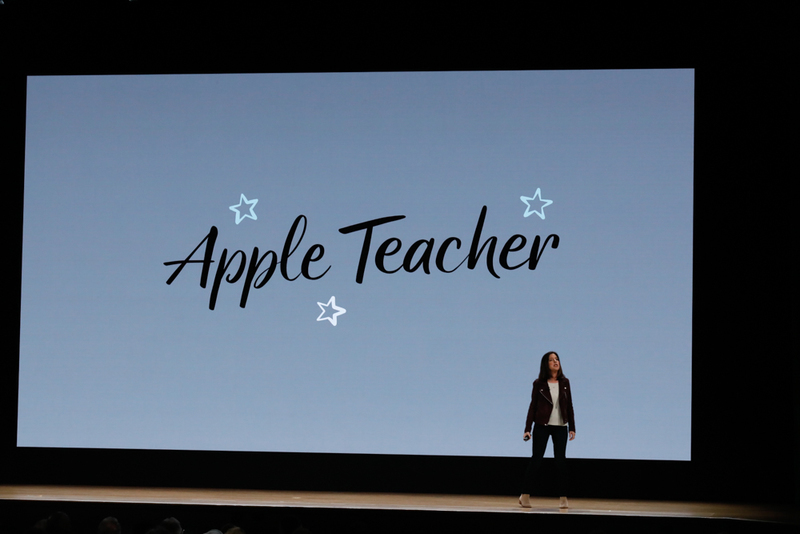 "Let's talk about another important way we're supporting teachers." 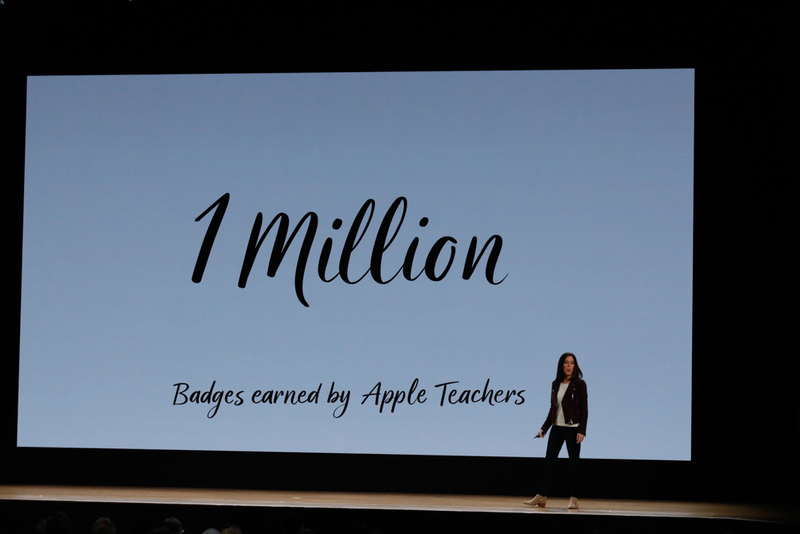 "You can show progress by earning badges, you can be inspired by what's happening in your classroom or seeing what other teachers are doing." "As an example, teachers love our starter guides, which help them get hands-on with new content ..."
"If you want to test what you've learned, we've added quizzes." 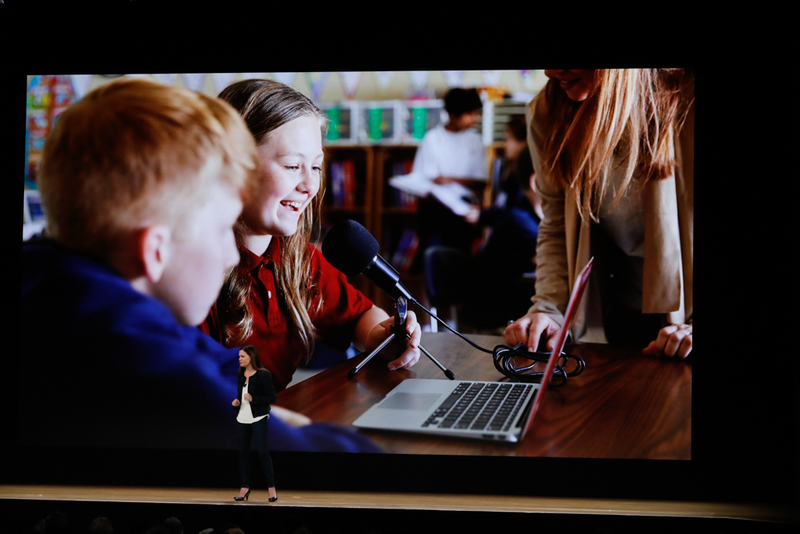 Apple involving Clips as part of teacher learning program. 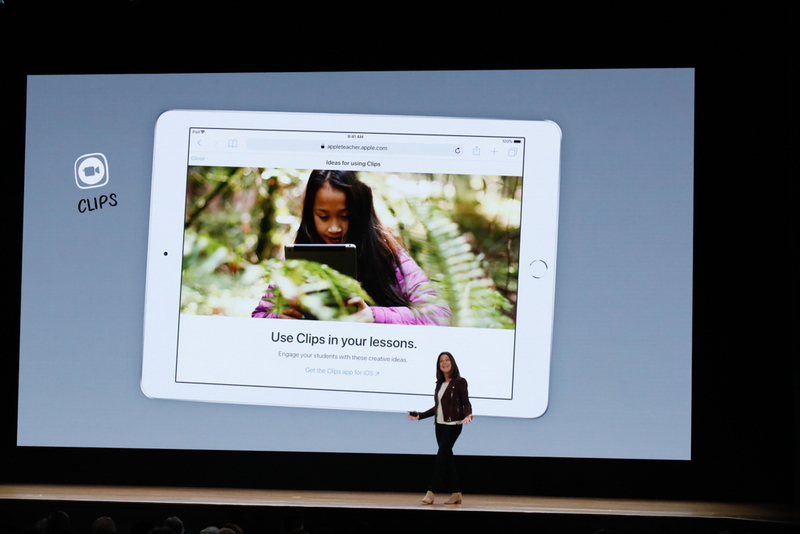 Clips seems to be the Official Video Tool for Apple. "Professional learning plays such an important role. 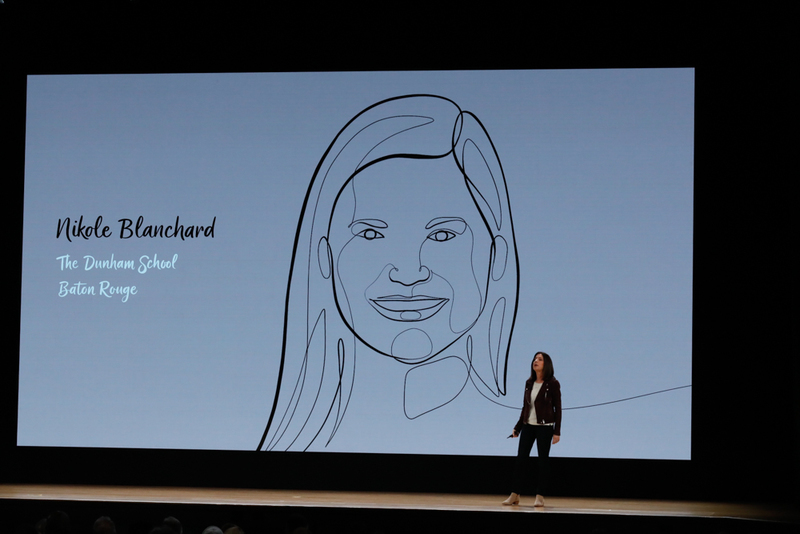 ... Apple Teacher has been such a gift to the Dunham School Community." 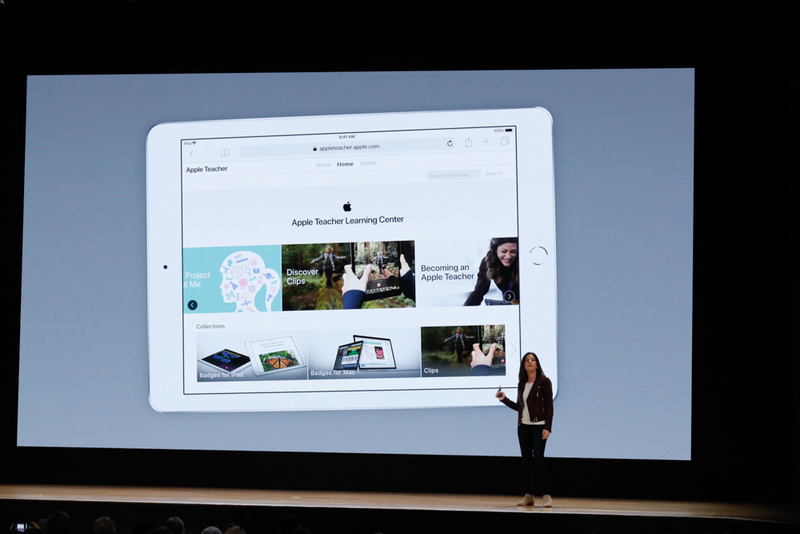 "It has also inspired them to make learning more student centered." 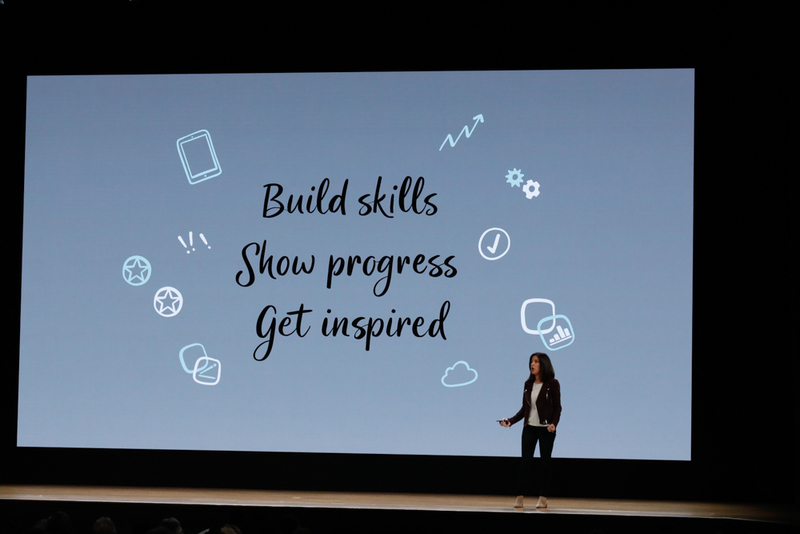 "We believe coding is a fundamental literacy in today's world."